Zayn Malik's birthday. The handsome member of One Direction turns 22. Learn a little more about his life here. 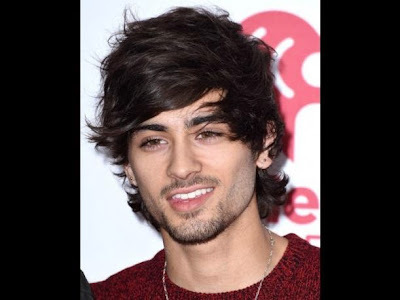 His full name is Zain Javadd "Zayn" Malik born on January 12, 1993 in Bradford, UK. Currently, Zayn Malik is one of the members of One Direction. He was selected after auditioning for The X Factor program, this band was formed with Harry Styles, Niall Horan, Liam Payne and Louis Tomlinson. The creation of the group came true and the five were sponsored by Simon Cowell. The group reached the grand finale of the competition and was in third place. Zayn Malik showed interest in music at a very young age. His mother explained that he spent much time on his computer listening to music and singing alone for hours. In his career with One Direction, he has composed songs like 'Taken', 'Everything About You', 'Same Mistakes', 'Last First Kiss' and 'Summer Lov', belonging to the album Up All Night and Take Me Home. Currently have a relationship with a member of girl group Little Mix, Perrie Edwards.